When it comes to the relationship between the Old Testament Law and the Gospel of grace people are all over the map. People go so far as to make the untenable assertion that the God of the New Testament is different than the God of the Old Testament. 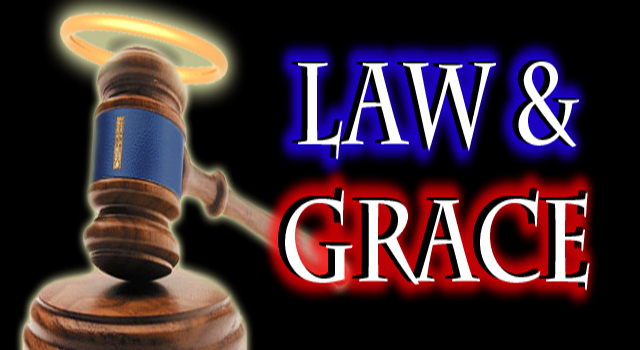 Grace holds no meaning for a fallen humanity apart from Law. And we must understand "Law" does not mean "the rules." The Law is the Covenant, which means the structure and substance of relationship. The Old Testament is filled with grace as is the New Testament with the Law. The law and the gospel meet one another at the intersection of Holy Love. They are two sides of the same coin. The law explicates the holiness of love. The gospel empowers the love of holiness. A wise theologian once explained it for me as follows: "The law was given so the gospel might be desired. The gospel was given so the law might be fulfilled." The entire meditation can be read here.